Costa Rica remains a leading country in Latin America when it comes to the utilisation of geothermal energy. 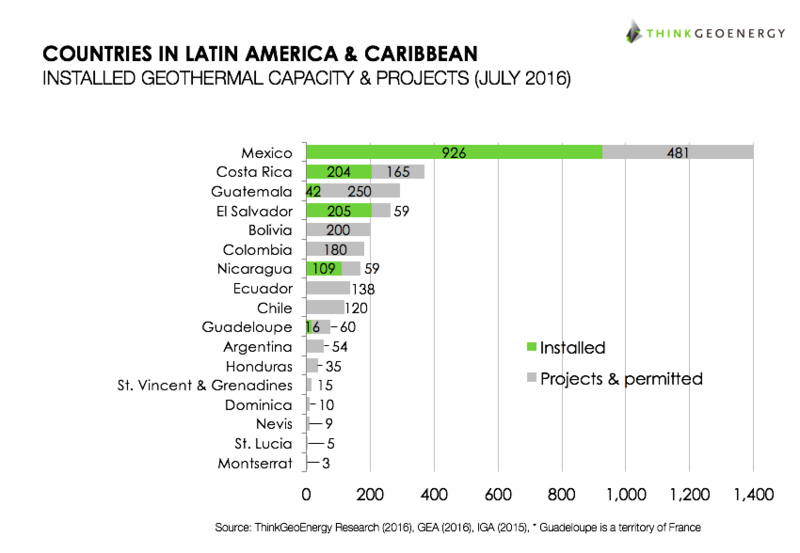 Surpassed currently only by Mexico, the country intends to grow its geothermal power generation capacity further, as we also reported in July this year. Today, Costa Rica has an installed power generation capacity of 207 MW as reported by the government, provided by two plants. Both plants are operated by the Costa Rica energy utility (ICE). The Miravalles field is the most developed field in the country today. The total installed capacity is 163.5 MW coming from five units. The Las Pailas geothermal field was developed later with studies done 1998 to 2003, leading to the development of a 42.5 MW power plant. The plant started operation in 2011. The plant is though only providing about 35 MW net. The country is currently working on expanding its geothermal capacity with 165 MW in the pipeline. An expansion of the Las Pailas plant is planned and is expected to generate between 35 and 55 MW. Start of operation is planned for 2018. ICE is also currently developing the Borinquen geothermal field, with a planned 110 MW capacity (two units of 55 MWe each), which are expected to start operation by 2023/ 2024.